Let us turn your house into your home. Request your free exterior painting estimate today. 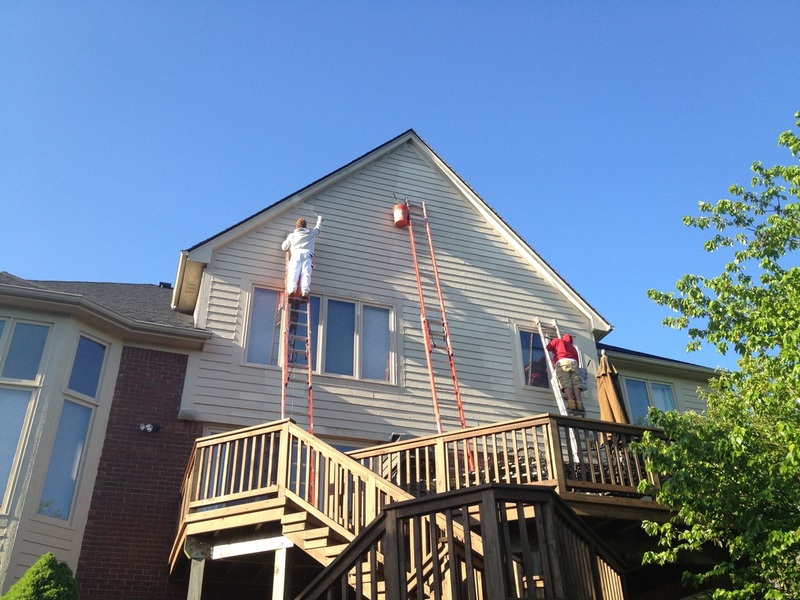 MDH Painting provides exterior painting services in Lansing, East Lansing, Okemos, Williamston, Grand Ledge, DeWitt, Holt, Mason, and surrounding areas. All of our exterior painting services start with power washing all exterior surfaces to be painted in order to create a clean surface for paint to adhere. After power washing, we’ll use a moisture measurement tool to determine when the moisture from power washing has left the wood on your home. Moisture measurement is really important in determining whether or not it’s safe to paint your home. If water has penetrated your wood and that water-logged wood is painted over, the water will push itself out and cause your paint to peel. After we’ve determined it’s safe to paint, we will prep your home to be painted. The process includes scraping any loose and peeling paint, priming bare wood to create a solid substrate for the paint to adhere, caulking areas that are vulnerable to water penetration (gaps between boards) and filling any holes in wood caused by carpenter bees, woodpeckers, or other causes. If a board needs to be replaced, we will replace it before we begin any painting. New boards are primed and then painted all around before being installed to keep water from penetrating the wood from the house-facing side of the board. Water penetration from under a board is the leading cause of wood needing replacement on homes. After preparation is complete, painting begins. By this time you will have already selected a color and the paint will be at the job site. Our company may utilize the “brush and roll” application method or a "spray" application method. Depending on the specific project, we will apply one to two coats of paint. Our company uses Sherwin-Williams products, exclusively. Our exterior painting services cover everything from vinyl siding, to aluminum, to traditional wood sided homes, and homes that only need their trim to be painted. We offer a number of other services, including: interior painting, power washing, deck staining, and floor coatings.